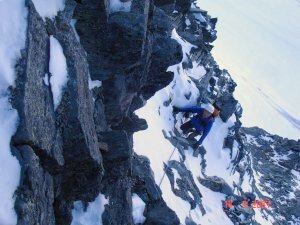 I made this wonderful ascent upon the scenic and exposed ridge together with guest Aleš Glavnik. 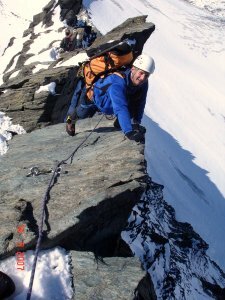 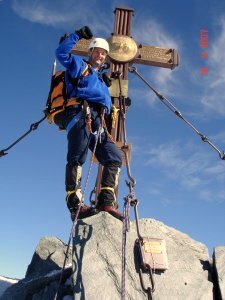 I recommend this tour to anyone with some alpinistic experiance. 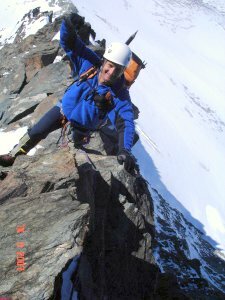 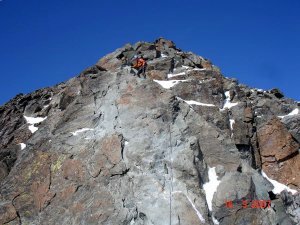 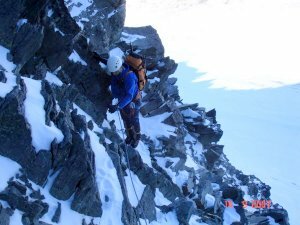 It is some sort of crossing the mountain and at the same time we escape crowd on the ridge in the saddle between little and big Glockner at least one way.